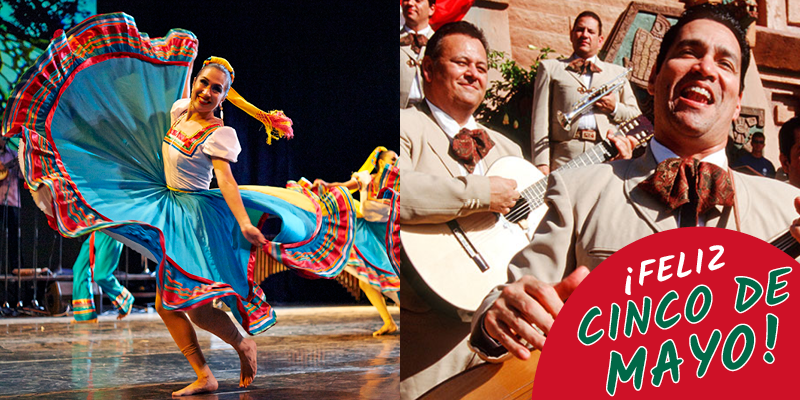 Celebrate Cinco de Mayo with a festive Levitt playlist! ¡Feliz Cinco de Mayo! Across the country, millions are enjoying bustling fiestas filled with mouth-watering food, non-stop dancing and spirited Mexican music. Cities like Los Angeles, Denver, New York and Houston are gearing up to throw celebratory festivals and activate city streets with cultural parades, outdoor performances and plenty of taco stands. Last week the team at Levitt Pavilion Los Angeles took part in LA’s Fiesta Broadway, a renowned holiday festival that attracted tens of thousands of attendees and brought festivities to almost 10 blocks of the downtown area! Cinco de Mayo has long been a source of national pride for the roughly 37 million Mexican-Americans that call the U.S. their home. Not to be confused with Mexico’s Independence Day (which is actually on September 16! ), Cinco de Mayo recognizes Mexico’s triumphant, dark horse defeat of the French at the Battle of Puebla in 1862. The spirit of the Mexican victory lives on through celebration and a kindhearted day of well-earned relaxation––a celebration that wouldn’t be complete, of course, without music! To honor Cinco De Mayo, we’ve curated a short playlist to honor some classic Mexican música as well as tunes by the countless Mexican and Latin-American artists who have graced Levitt stages over the years. From traditional mariachis and rancheras to modern folk and rock, these artists pay homage to their Mexican roots by taking a vibrant, contemporary approach to their music. Enjoy! This entry was posted in Holidays and tagged Cinco de Mayo on May 4, 2018 by Benj Salkind.